Based out of Nashville, TN. The White Lioness (Zoey Baker) formed, bringing angst to the stage with a mix of post grunge and hard rock (a grinded mixture of Nirvana and Three Days Grace). 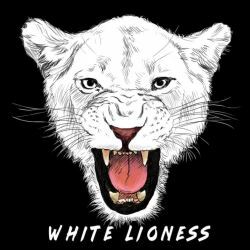 The White Lioness came from a family with a strong passion for music. With that passion, The White Lioness got her name from her belief that the beast is her Spirit animal.